Mercury Mouth is an eclectic and powerful live band with strong, searing songwriting at it’s core and powered by a post-punk ethos and delicate gothic balladry. It’s the brain-child of songwriter and vocalist Ann-Marie Doyle collaborating with multi-instrumentalist Dee Hynes along with some of the finest musicians Galway has to offer. Over the last year they have worked at meticulously crafting a collection of songs that spark and crackle with energy, with soaring heart and thinly veiled dark underpinnings, all the while retaining a tight musicality and a style that is uniquely ‘Mercury Mouth’. With unusual combinations of instrumentation and styles they sidestep any obvious genre placement, while at the same time, revealing fragments of influence and inspiration, from Nick Cave to Pink Floyd, Patti Smith to John Cale to Townes Van Zandt and many more. As seasoned performers, with decades of experience behind them collectively Mercury Mouth are taking their set out of the studio and onto the stage in 2018. 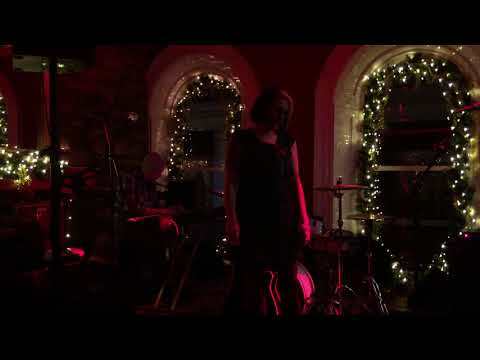 Mercury Mouth have recently made a huge impact on the Galway’s live music scene and are gathering considerable momentum and attention.